We are a progressive hair spa and salon that believes in combining your personal style with the current salon trends to give you an individualized style that you love…Our team of artists are dedicated to designing an extraordinary look and relaxing guest experience. Our design artists are dedicated to bringing a one of a kind experience each and every time you visit us. Let the talent and experience of our team help you express your own personal style through our services and our boutique. As we continue to learn new techniques and further expand our on-going education, we look forward to your interest in what’s new. Feel free to ask about any service that you do not see listed – our team has a wide breadth of knowledge and experience. 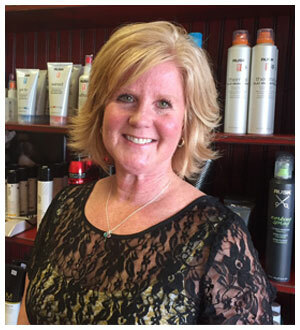 Specialty • Coloring • Cutting • Business Management About Colleen Combining an out-going personality with a sweet and gentle nature has endeared Colleen’s clients to her for nearly 20 years. Complimenting her personal style, she infuses her talented hair styling techniques that enhance the qualities and features of her clients to make them look their best. It’s no wonder anyone who comes to Luxe, stays. 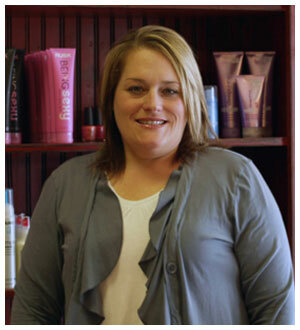 Clients love the warm and relaxing atmosphere and her team loves the freedom of being independent stylists. Experience all that Luxe has to offer today! Specialty • Shellac gel nails • Pink and White Acrylics About Jill After 22 years, Jill continues to do nails the old fashion way, with a file! Jill is offering the new Shellac gel nail system. It is a quick, easy way to keep your hands looking just manicured for two weeks! Never a scratch and always shiny. It’s great! About Karen Karen’s talent and success as a stylist are reflected in her extensive, loyal clientele. For over thirty years, she has specialized in cutting, coloring, perming, and creating special occasion styles with a passion for fashion and education. Detailed and focused, she is dedicated to listening to her clients and meeting their needs. Karen knows that when you look great, you feel great. Specialty • Cutting • Foiling • Coloring • Perming • Waxing About Beckie Beckie may be one of the newer stylists at Luxe, but she is not new to the industry. 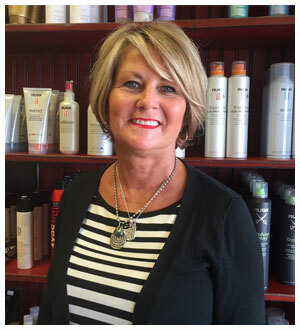 She has been styling, cutting, foiling, coloring, perming, and waxing for over 30 years. Attention to detail, continuing education, and listening to her clients specific wants and needs has helped make her into the superior stylist she is today. She is currently sharing with her clients the benefits of coloring hair with new organic products as an option to traditional methods. It’s no wonder anyone who comes to Luxe, stays. Clients love the warm and relaxing atmosphere and her team loves the freedom of being independent stylists. Experience all that Luxe has to offer today! About Nancy Hair styling is an art, and takes a keen eye and experience with every hair type. 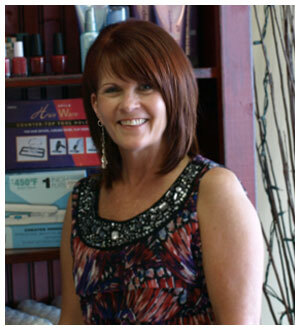 Nancy has been in the hair industry for over twenty years and her clients love what she does for them. 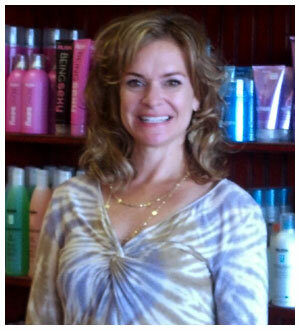 Nancy moved to Luxe from a Wayzata salon and continues to provide quality hair services she’s known for. For your hands and feet, Nancy also specializes in giving the best organic , clean and tidy pedicure and manicure in the area. She’s kind, has a soft spoken personality, and is one of the most caring people you know. About Mary Cutting your hair the way you want it is everything. Taking that cut into a style that far exceeds your expectations is what Mary is known for. Having recently moved from Wayzata, Mary brings her 25 years of taking care of clients to Luxe. She performs all possible hair services, and does it with a smile while striking up a great conversation with personality. If you’re looking for a fresh style idea, Mary can get it done.